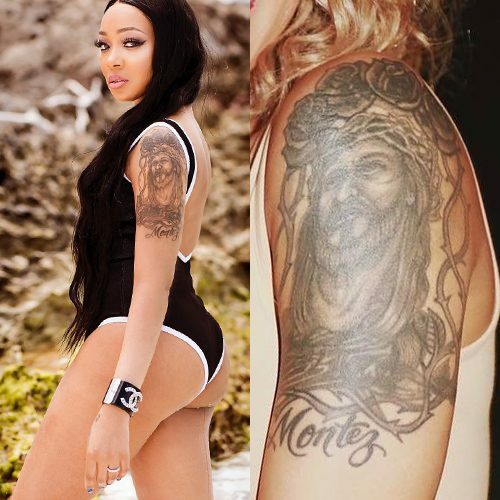 Monica Brown’s best-known tattoo is the portrait of Jesus on her upper arm. 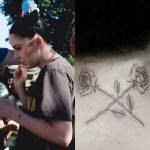 She made some major edits to the design in 2003 or 2004, covering up the word “knot” on top with four roses and adding a frame of thorny vines all aorund it. 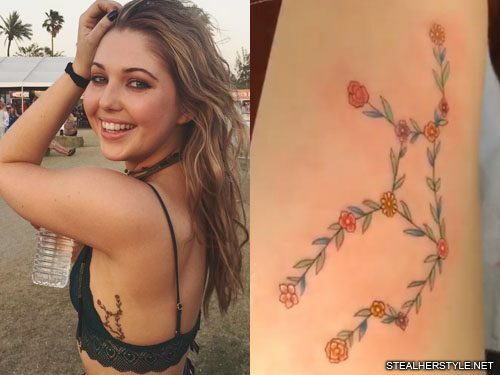 Sammi Hanratty has floral vines inked on her left side in the shape of the constellation for her zodiac sign Virgo. 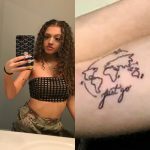 She got this creative ink from artist Tim Hendricks in April 2018. 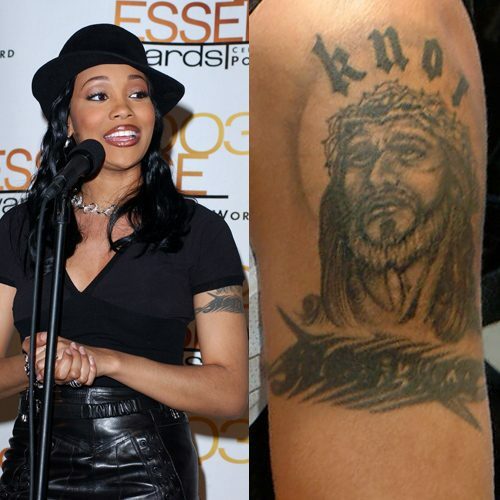 Mononymous R&B singer Monica used to have a tattoo of her own name “Monica” on her upper left arm. 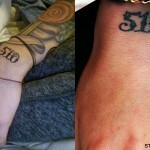 First she covered it with tribal stripes. 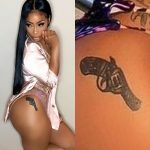 She later reworked her whole upper arm and ended up connecting this tattoo to the portrait of Jesus above it. 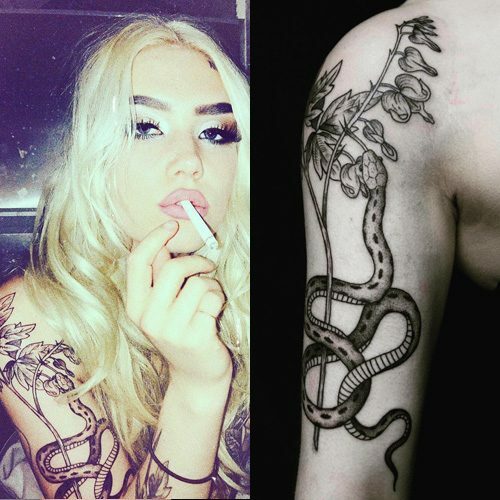 Ängie has a snake tattoo on her right upper arm and a plant going up on her shoulder. Christina Applegate has a braided vine tattoo on her left ankle. Martine McCutcheon has a beautiful artwork tattoo on top of her right foot which includes the words “Raven Rose,” teal stars, a red rose, and swirling vines up her ankle. 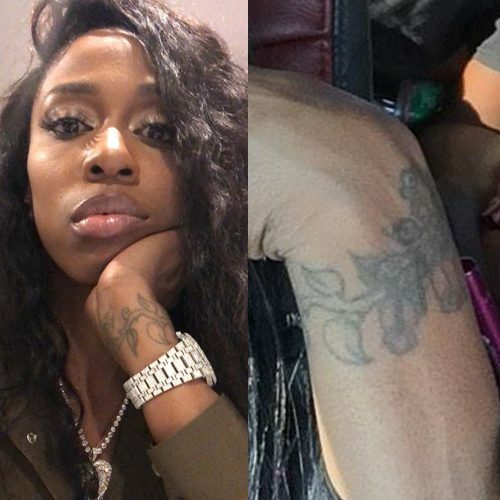 Kash Doll has a rose with stem tattoo around her left wrist. 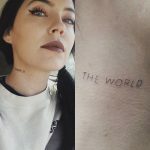 Acoustic artist Beth Lucas from Brisbane, Australia has been adding to her collection of colourful body art consistently over the last six years. 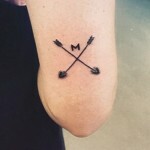 What started out as a little rebellious inking has turned into a fully fledged artistic journey and Beth’s not about to stop anytime soon. 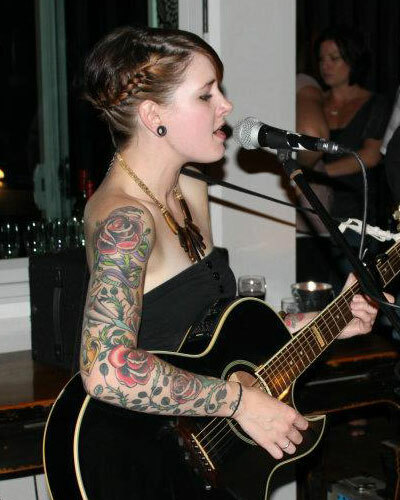 Beth has one full sleeve (right arm) that is made up of roses/vines and other traditional inspired pieces, such as a snake, dagger, locket with keys and ribbons, and a small bird cage on the inside. 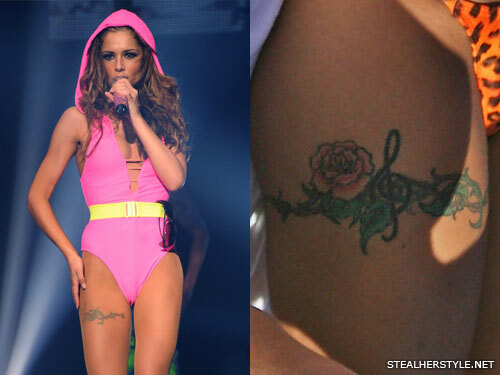 Cheryl has a tattoo of vines and barbed wire wrapping around her right thigh with a rose and a treble clef at the side. 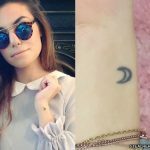 Roses are her favorite flower and the treble clef represents her music career.